Ryan Reynolds has just gone from “actor whose agent says they like comics to up their geek cred” to “actual factual capes and cowls fan” in my book. 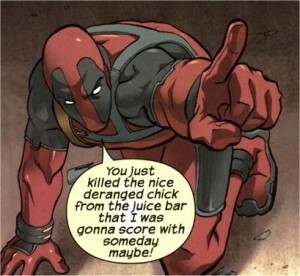 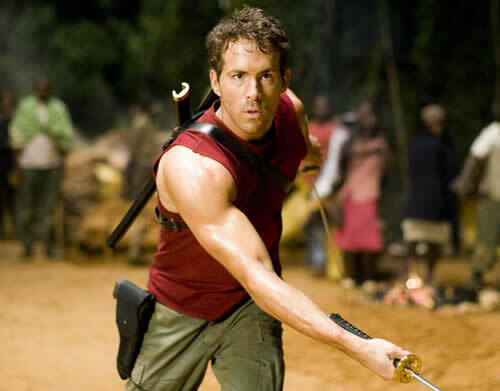 X-Men Origins: Wolverine managed to waste both Deadpool as a character and Reynolds as an actor, but Reynolds has apparently insisted that the spin-off movie stick close to the source material, specifically Deadpool’s fourth-wall-breaking awareness that he’s in a work of fiction. 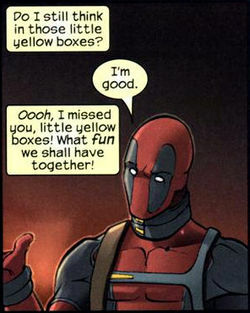 Combine this with the speculation that the albino thing at the end of Wolverine was in fact a clone of Deadpool and not the real deal (meaning we can happily ignore it going forward) and we may actually get an excellent cinematic take on one of my favorite characters.